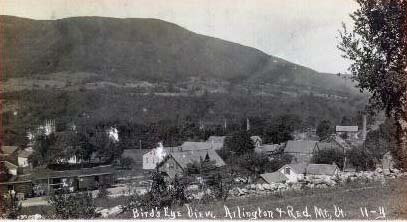 These are images of old picture postcards from the general Arlington, Sunderland, Manchester area. 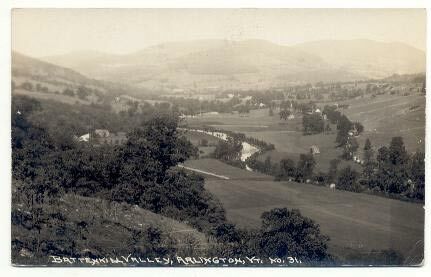 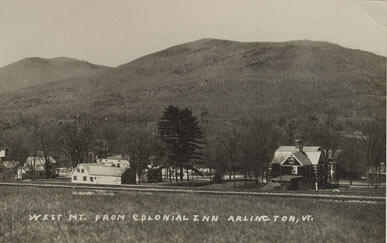 Row 3: "Spruce Peak, Arlington", "Red Mountain from the West", "West & Red Mountains"
Row 4: Postcard labeled, "White foam of spring in the Roaring Branch flowing into the Battenkill River at Arlington, Vermont", "Looking west from the Colonial Inn", "Arlington Road"
Row 5: Views of the river. 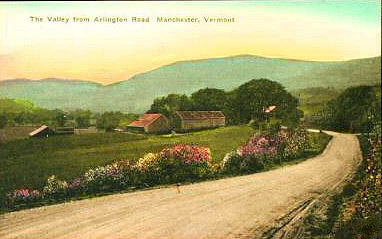 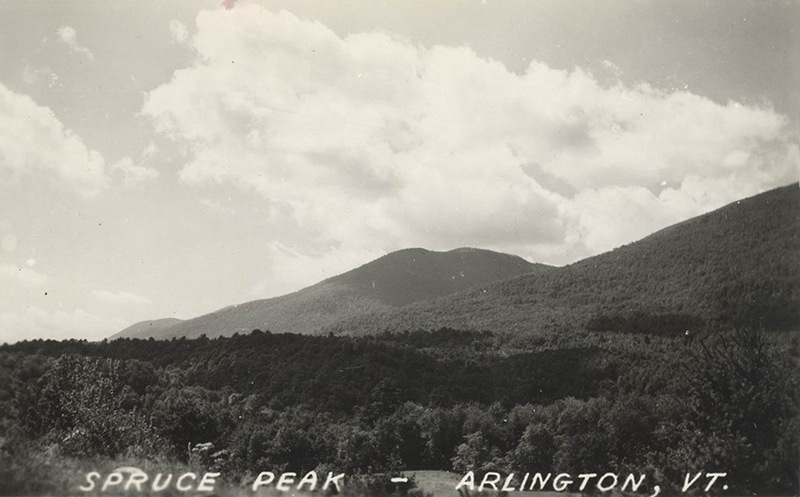 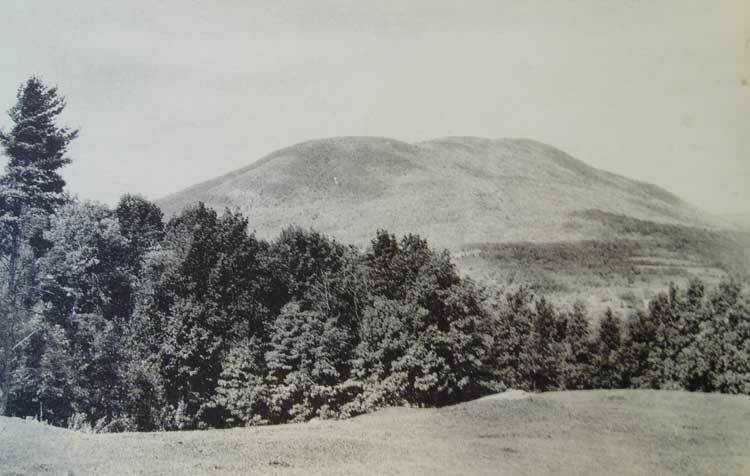 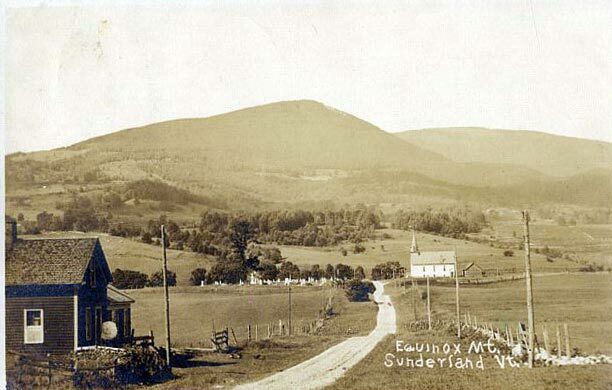 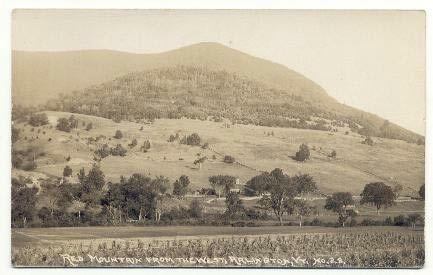 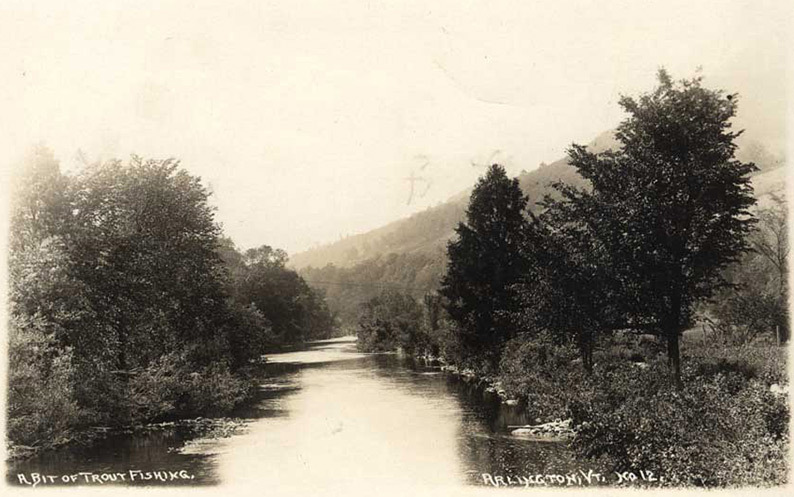 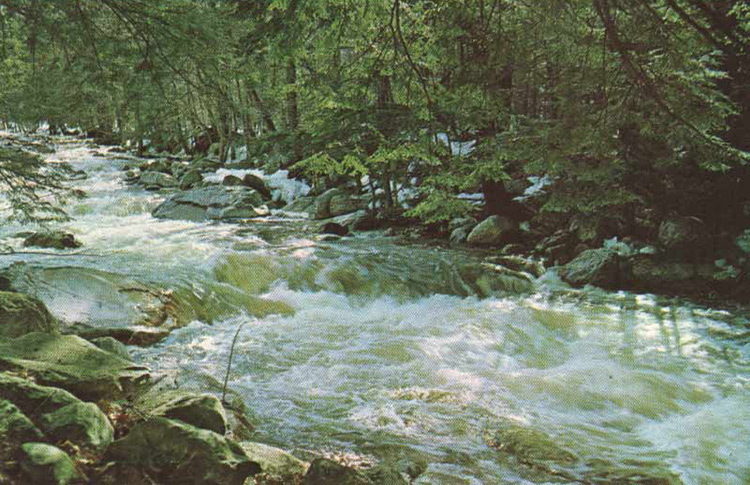 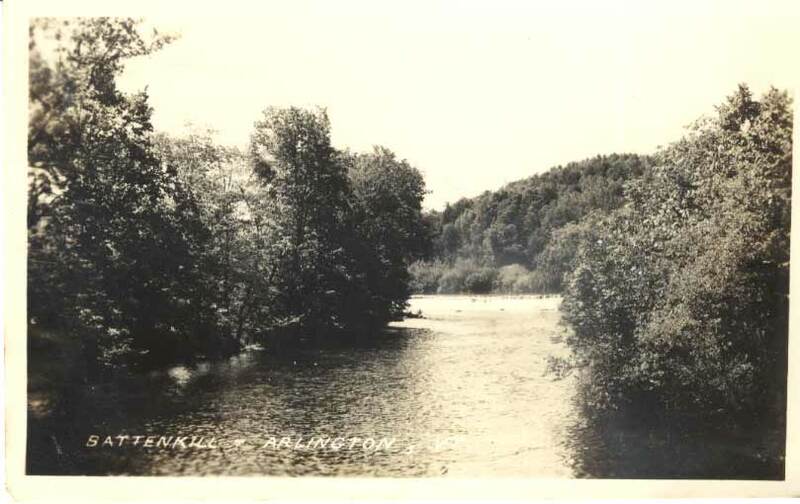 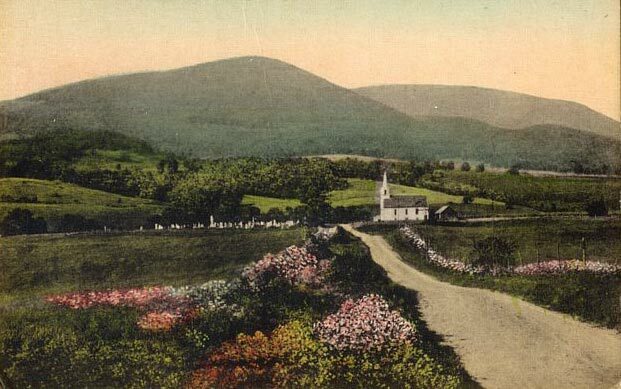 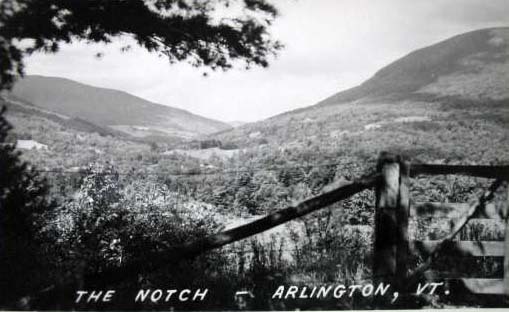 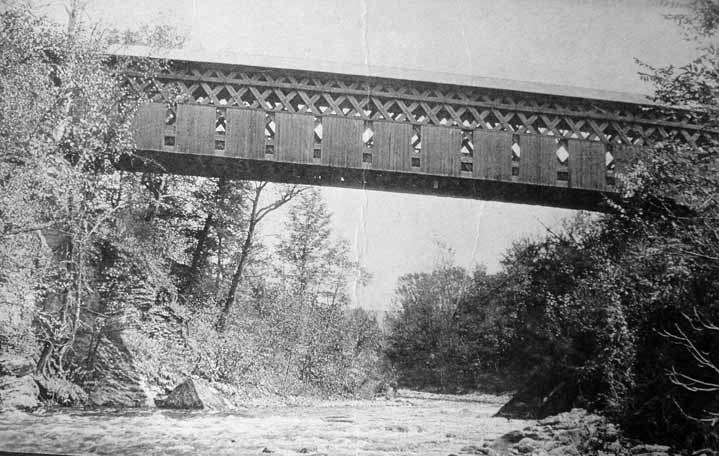 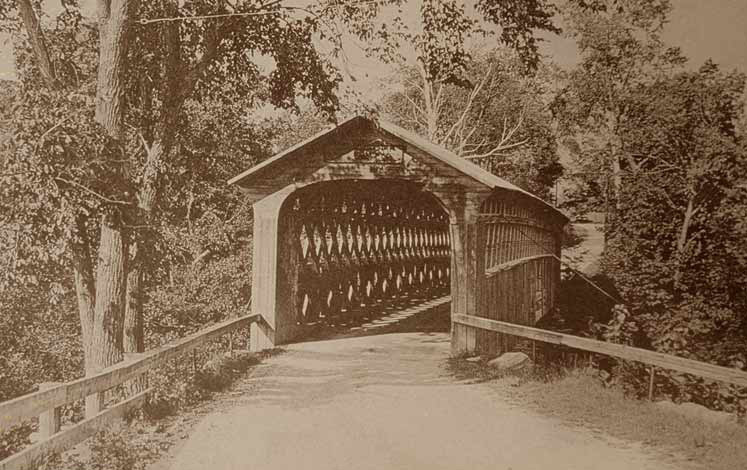 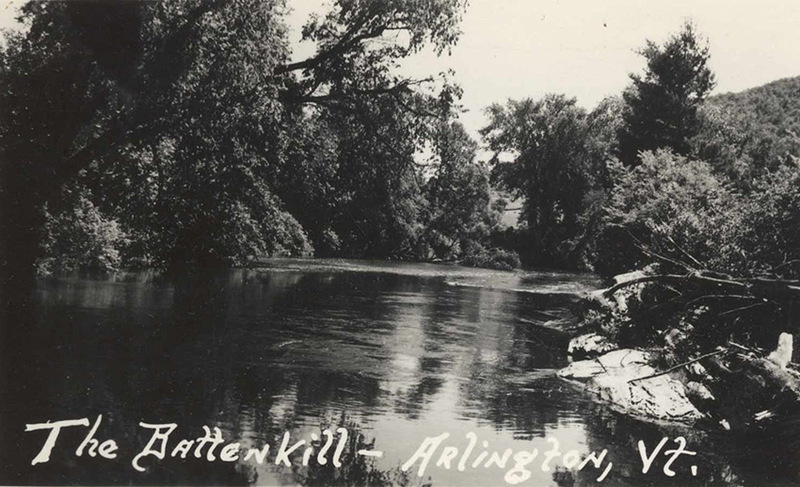 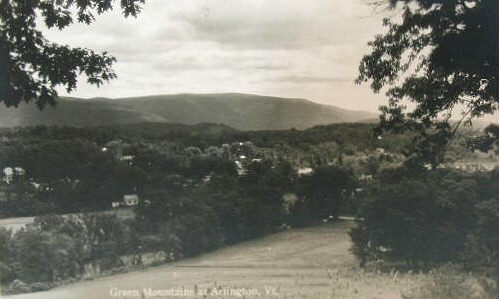 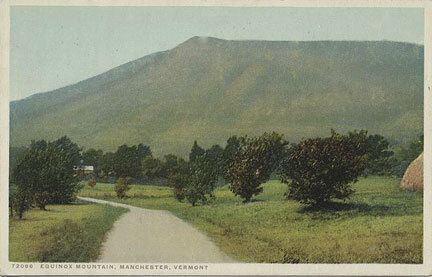 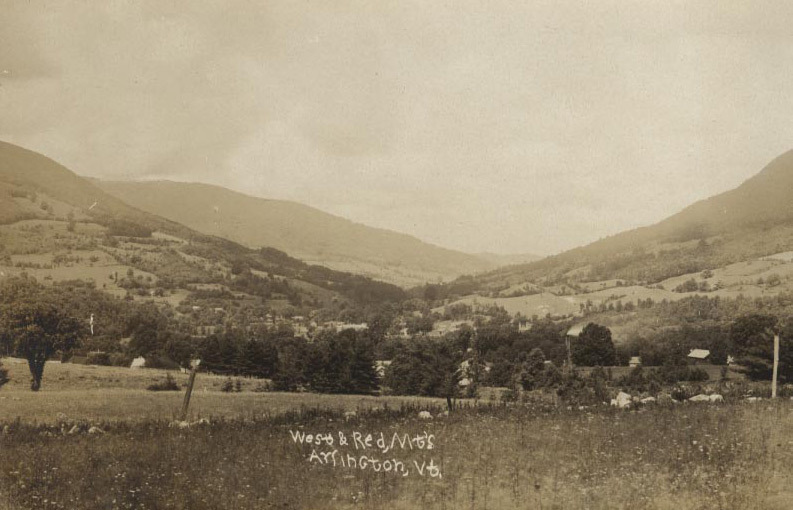 Labels read "Green Mountains", The Battenkill", "A Bit of Trout Fishing"
Row 6: "The Battenkill, Arlington", Genuine sepia postcard printed in Germany, "Manchester, Vt. 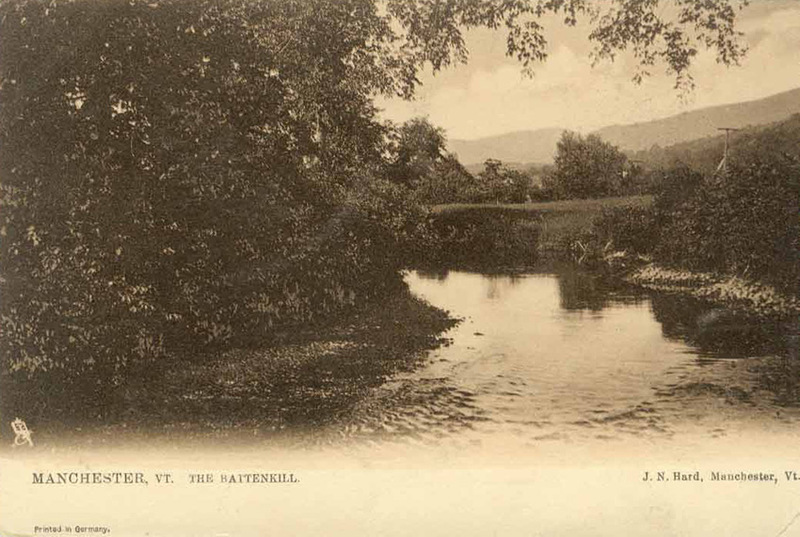 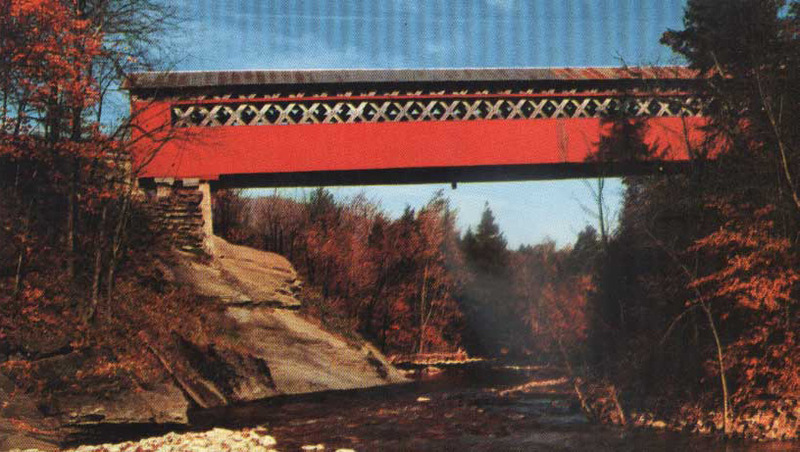 The Battenkill" and "Art Publishers to Their Majesties the King and Queen"